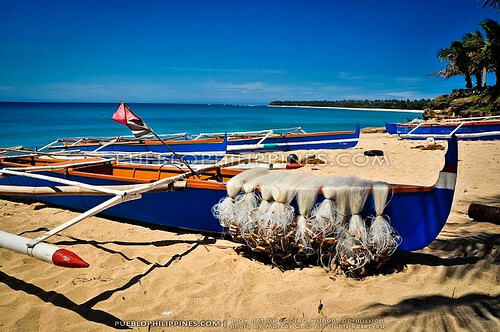 A six hour early morning bus took me to Saud Beach in Pagudpud, Ilocos Norte from Tuguegarao City. 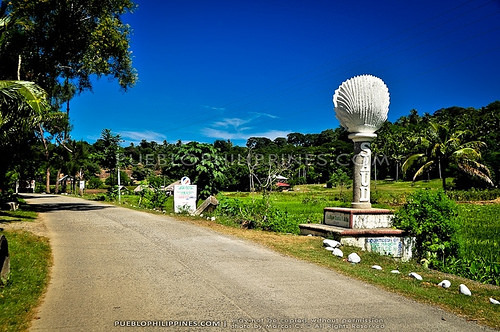 Pagudpud is the northernmost town of mainland Luzon. What compelled me to travel all the way up north was the promise of capturing its rugged coastal landscapes in photos. As soon as I got off the bus, I was greeted with the deep blue sky and sunny tropical scenery. 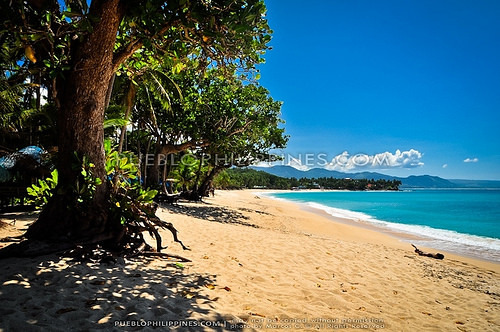 It was the perfect weather to spend the day touring coastal town of Pagudpud. Saud Beach was still approx. 3.75km away from the highway intersection drop-off. 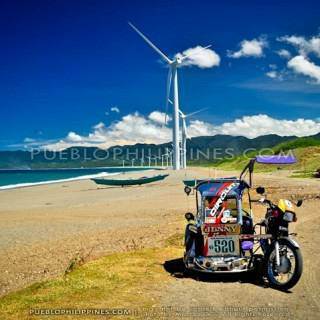 I took a tricycle (P60 fare) to take me directly to Saud Beach. First order of business was to find a room to spend the night. Since I didn’t have a particular place in mind, I asked the tricycle driver to drop me off at one of the cheap homestays in Saud Beach. 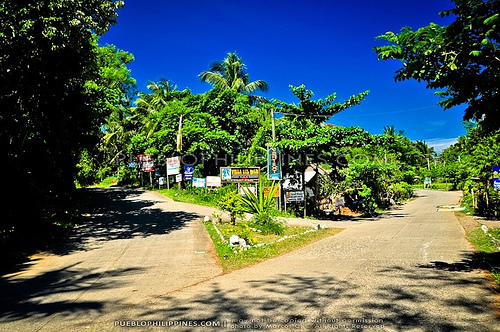 Intersection near Saud Beach. Go left if you’re headed to the resorts at the western end of the beach. 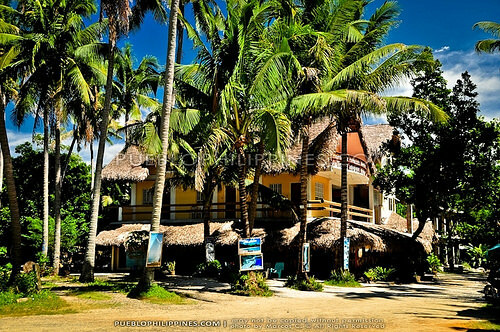 Go right to get to the cluster of homestays in Saud Beach. The tricycle driver dropped me off at Henry’s Homestay. They showed me a fan room with a double bed and private TB. Looked promising! They quoted me a price of P500 at first but I bargained it down to P300 since I was traveling solo and during off-season. There were actually some more homestays near Henry’s but I didn’t bother. I was already too excited to start my day tour of Pagudpud. View of Henry’s Homestay from the village road. Blue gate of Henry’s Homestay. 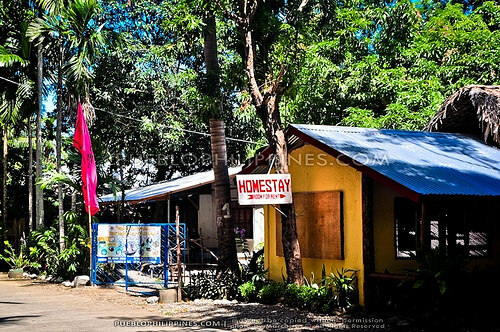 I really like the idea of homestays. 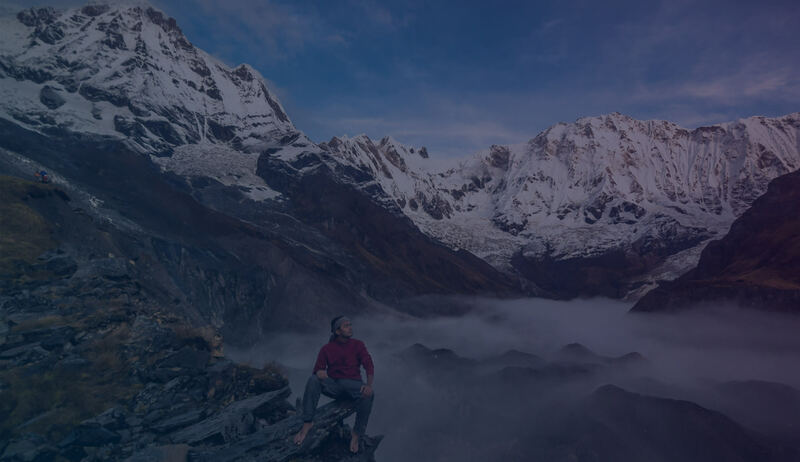 It’s a great low cost option for budget travelers like me and truly helps the residents to make some money from tourism in their own locality. It was lunchtime when I arrived at Saud Beach. 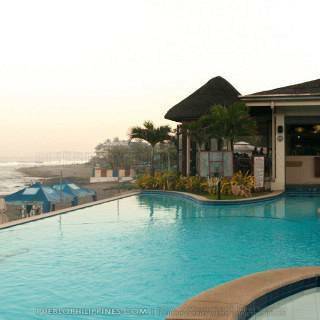 I walked for a minute to the beachfront and went in the restaurant of Polaris Resort. They only had their breakfast menu available so I ordered their longsilog (Filipino sausage + egg) rice meal. Meals at Polaris was kinda pricey at P140. 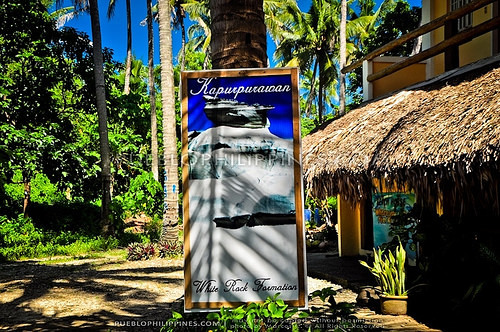 First time to encounter a photo of Kapurpurawan White Rock. I was hooked! 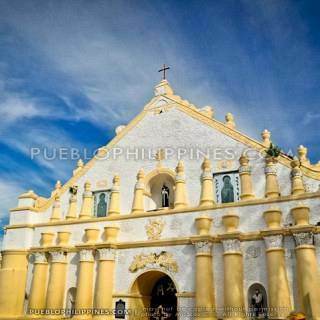 I made sure to visit Kapurpurawan on my way to Laoag. While waiting for my order, I went to the beachfront for some quick photos. 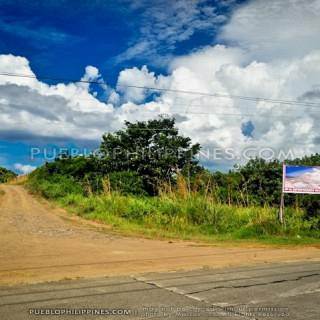 The picturesque view made me forget about the tiring 6-hour bus ride from Tuguegarao to Pagudpud. After taking a few snaps, I was surprised to see how the beach and the sky looked really good in photos despite the harsh midday lighting. 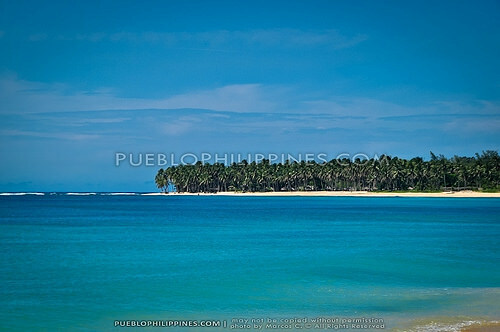 The calm and inviting azure blue waters complimented the yellow tinted sand and the deep blue sky really well. 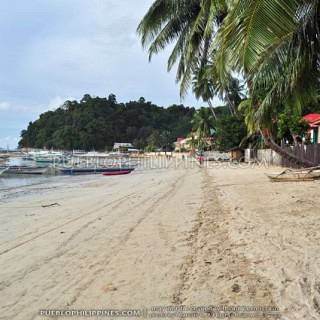 Saud Beach is often hailed as the “Boracay” of Northern Philippines. I can’t help but go in a “beach critic” mode whenever someone mentions the comparison. 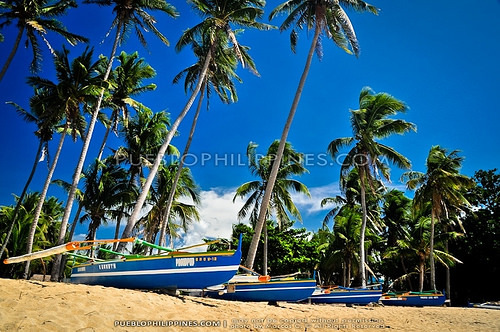 The long sandy stretch fringed with tall coconut trees at Saud Beach resemble that of Boracay’s White Beach but there are many differences as well. 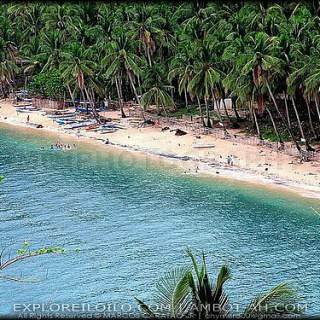 The sand of Saud Beach is not as fine and has a yellowish tint unlike the sugary white sand of Boracay. I measured the length of Saud Beach in Google Earth. The crescent shaped beach was around 2.5 kilometers. Though, the uninterrupted beach still extends northwards to an impressive 8 km total measurement. 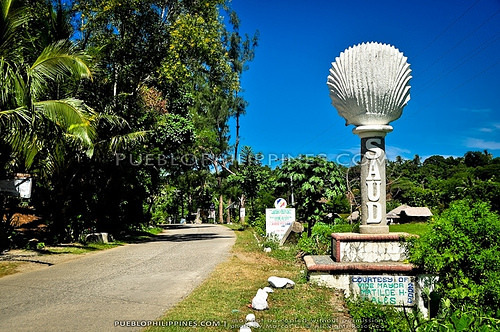 Saud Beach (and Pagudpud as a whole) still maintains its small town feel and was not too commercialized. It was great to spend some time at the beach and not have to fend away vendors and touts every 15 minutes or so like in Boracay. Find more posts about Favorites. 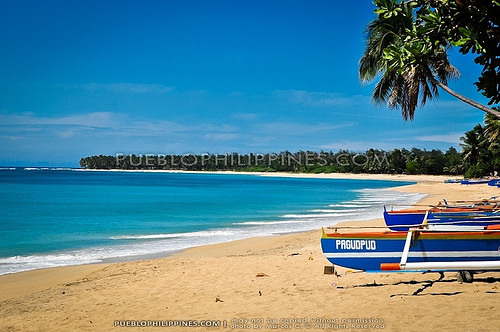 Discover more blogs and travel tips in Pagudpud. I like it too. Although it’s obvious that the people there are already used to tourists, they don’t follow you around or try to ask for more than reasonable prices. 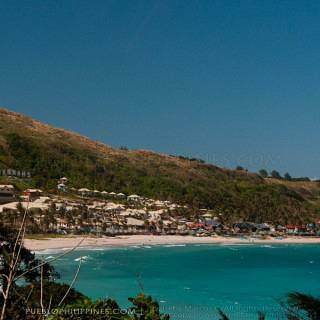 Tapos syempre, the beach is not very crowded. 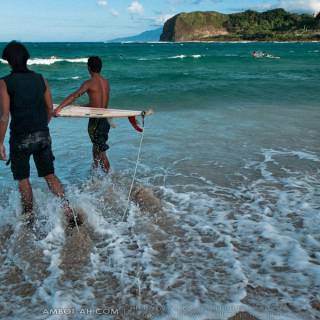 I love Saud Beach & Kapurpurwan! 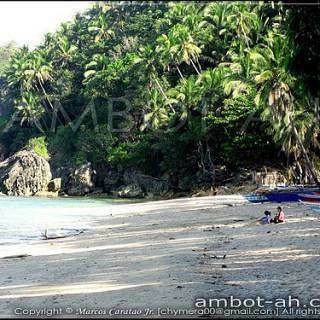 been there last month on solo.Entrance fee on their public beach is very affordable,20php. I stayed though at Rlyn’s Homestay. Same price as yours but mine was a/c. :-)…I’ll surely be back in January 2012! cool blog batangala and informative! nice..i like that its not overly populated like other popular beaches. gives it an intimate feel. Yes P6K should be enough. 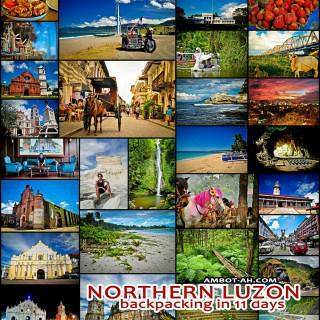 I usually spend just P1K per day average when backpacking in the Philippines. 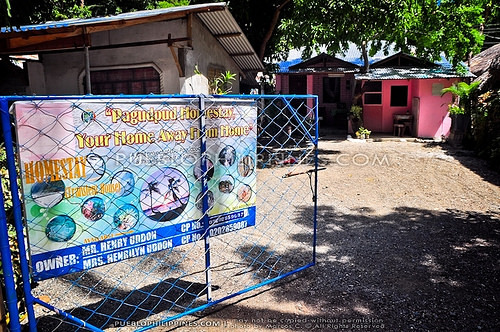 hi!can you give the contact # of henry’s homestay?me and my family will visit pagudpud this coming march.thanks! I high appreciate the precious sharing of your useful information and experience! 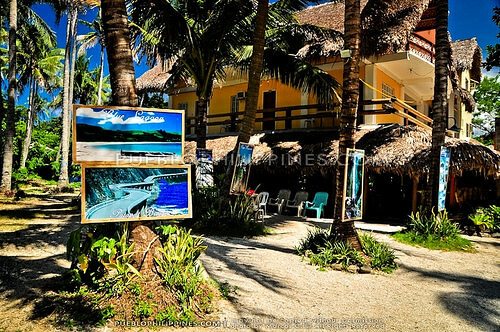 Could you show me how to contact with the Henry’s homestay owner as my friend and I would like to go Pagudpud next month. Hi.. could it be possible to stay in henry’s if I’m just alone? 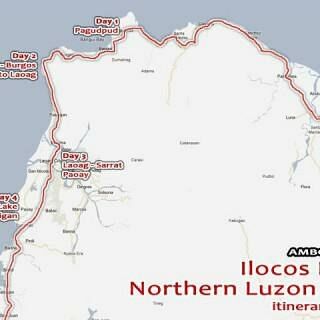 Ill be arriving around 2pm in loag.. but I want to stay in the saud beach and visit to see the rock formation and saud beach sunset.. then early morning i want to go in windmill.. then after that..i must return to loag around 10am to explore laoag.. my flight will be 3pm. Do you think my itinerary is posible? Thanks! Yes, it’s possible. 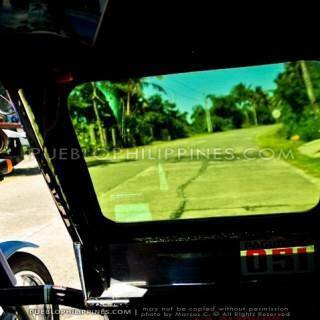 Through, I advise taking hired transport to get around in Pagudpud and Bangui considering your time limitations. I stayed in Henry’s on my own too.